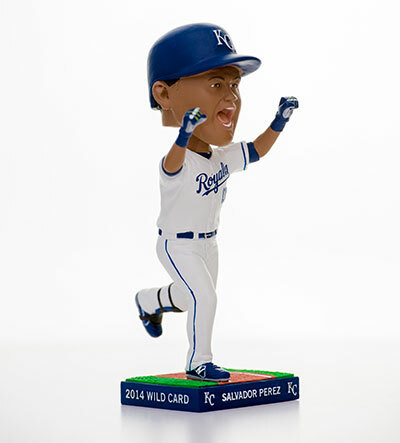 Bobbleheads at this season’s May 2 game will depict Salvador Perez celebrating after hitting a game-winning single in the bottom of the 12th inning against Oakland in the AL Wild Card game at Kauffman Stadium. He stands on one foot with arms raised in excitement. 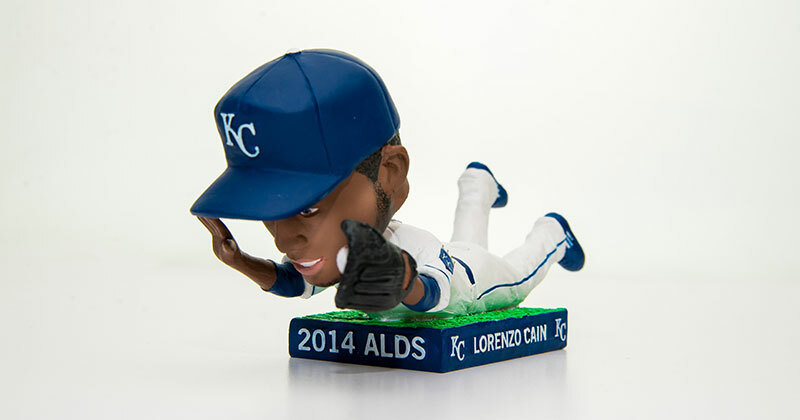 Lorenzo Cain is the June 6 bobblehead figure, commemorating his second of two back-to-back diving catches during Game 3 of the American League Division Series versus the Angels. This bobblehead lies on the grass with gloved hand outstretched. 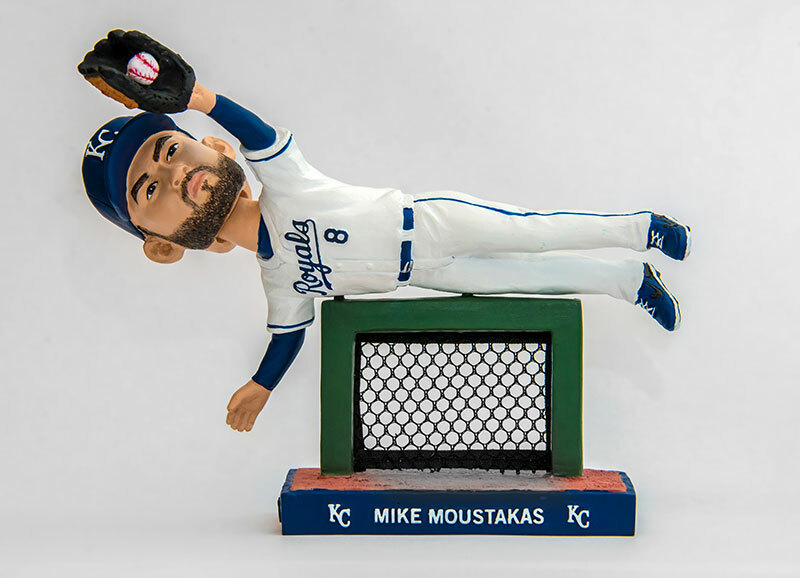 Available on June 20, the Mike Moustakas bobblehead depicts his tremendous catch while falling into the third base dugout suite during the ALCS. The figure precariously straddles a rail while reaching for the ball. 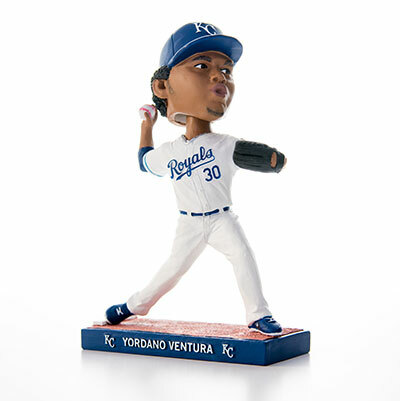 Finally, fans attending the July 25 game will find bobbleheads honoring Yordano Ventura, who pitched so brilliantly in World Series Game 6 against the San Francisco Giants. He has a pitcher’s stance and a look of determination. “Each bobblehead will be available to the first 15,000 fans who enter the gate for a designated game at no additional cost,” said Sara Grasmon, manager of special events and promotions. The bobbleheads are unique pieces of individual art and far from easy to make. A mold is hand sculpted and then each bobblehead is hand-painted by multiple artists. Made of polyresin, they are more durable than porcelain. Find out more at Royals.com/Promotions.